Nine months after it advertised for 700 workers, Bai Shan Lin says it has hired some 400 persons and they have been deployed in the different areas of the company’s forest and wood processing operations around the country. This is according to an official of the company last week. He said that the company hopes to hire an additional 200 employees before the end of the year. “We have not hired all of the 700 persons as yet. Only about 400 of them,” the official told Stabroek News. He said that some of the persons hired have been deployed to the company’s operations in Kwakwani, Linden, in Georgetown, in Ogle, in Itaballi and along the Waini River in Region 1. “In a short while we will be hiring some more Guyanese…about 200 more,” he said. The official said that so far, the company’s forestry operations, its sawmilling and its barge building operations are active. He said too that an exhibition and business centre is under construction. However, he said that the massive housing development that the company displayed to the public during the Building Expo in July is yet to take off. He said that the Government is yet to grant approval for the land behind Providence, East Bank Demerara where the development is slated to take place. Bai Shan Lin is undertaking a US$100 million forestry operation in Guyana. The company is in control of almost one million acres of forests after taking controlling interest in a number of small forest companies with concessions. Its subsidiary companies are Karlam South America Timbers (Guyana) Inc., Haimorakabra Logging Company Inc., Sherwood Forest Inc., Wood Associates Industries Ltd and Kwebanna Wood Products Inc.
Bai Shan Lin has access to three concessions where full-scale harvesting operations were being undertaken through joint venture arrangements. While the company had direct access to 83,307 hectares, it also had access via State Forest Exploratory Permits (SFEP’s) to 345,865 hectares. However, in an interview with Stabroek News at the Guyana National Stadium during Building Expo 2013 this year, Whenze Chu, Chairman of the China Forest Industry Group Company Ltd, the parent company Chu denied that his company has done anything illegal. “We are doing the timber business in Guyana in compliance with all of the laws and regulations and the GFC. We are not doing illegal logging… we are not doing over-harvesting… we will be operating according to the guidelines of the GFC and in an environmentally-friendly manner,” he said. Asked what assurances the company could give to ensure that all of the GFC’s regulations are complied with, Chu said the fact that the company is investing in the wood processing plant in Linden is proof that it intends on value-added processing. “As soon as the wood processing plant is completed we will then call the government to stop the export of logs and call on all concessionaires and suppliers of timber to go to our wood processing plant to process their logs,” he said. “As a Chinese timber company operating in Guyana, we do not only comply with the laws and regulations of Guyana but also we follow the guidelines for overseas sustainable development of the forestry business from China’s State Forestry Administration,” he said. “Our purpose in doing forestry development here is not just harvesting the logs but we want to get the raw material and put it into our wood processing plant to add value to them. In so doing, we will increase the employment for our wood processing plant and make benefit not only for the local people but also for the economic development of Guyana,” said Chu. Back in July, Chu said the company needed local workers for its many operations and that many of them hired had already been placed. “We advertised for hiring about 700 workers. We can say up to now that there are about 300 workers are in place. They are all actively working in our company,” he had said, adding that some of the workers are employed as forest inventory personnel and some as machinery operators. He said that the company wanted to hire about 300 more persons to work in its wood processing plant in Linden. With regard to Bai Shan Lin’s ‘New Life’ housing project, the Chairman had said that the construction materials and equipment for the building of this housing project has already reached Guyana. “Also we can say that the personnel and the technicians for the project are also in place,” said Chu. 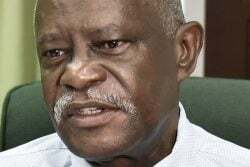 He said that while it was the wish of the company to have the project in place in the shortest possible time, it was still awaiting the land allocation from the Government of Guyana. This land is said to be situated behind the Guyana National Stadium in Providence. Chu said that the total investment for the housing project will be around US$500 million that it will be inclusive of a hospital and school and these will be free for use by Guyanese. He said that the company plans to have some 5,000 houses completed within the next five years.